China has a plan to reduce pollution in Beijing: it’s going to replace all 67,000 gas-powered taxis with electric models, a plan expected to cost operators around nine billion yuan ($1.3 billion). The problem is, the country doesn’t quite have the infrastructure yet to support that many electric cars on the streets. It’s no secret that China is ahead in the race to go electric. The country sells more electric vehicles every year than the rest of the world combined. This is largely because of heavy government subsidies: the two-door Chery eQ, which normally costs around $23,000, is priced as low as $8,600 after. The government is aiming for five million electric vehicles on the road by 2020. But these vehicles are designed for covering short trips at low cost. The eQ, for example, has a range of just 124 miles. The motor offers 57 horsepower, powered by a lithium-ion battery. It can take up to 10 hours to fully charge from a 220-volt power source. These specs are fine, as it’s ideal for driving to work and back before leaving overnight to charge. But that range won’t cut it for a taxi. New York City taxi drivers will rack up around 180 miles per 12-hour shift. Taxis are sometimes shared by two drivers, meaning a taxi could rack up double that in 24 hours. In Denver, taxis average around 70,000 miles per year, which works out at around 192 miles per day. The eQ would not fit the bill here, particularly as the recharge time leaves the cab out of action for a large portion of a day. Clear day versus smog day in Beijing. Switching to electric would cut air pollution in the capital. 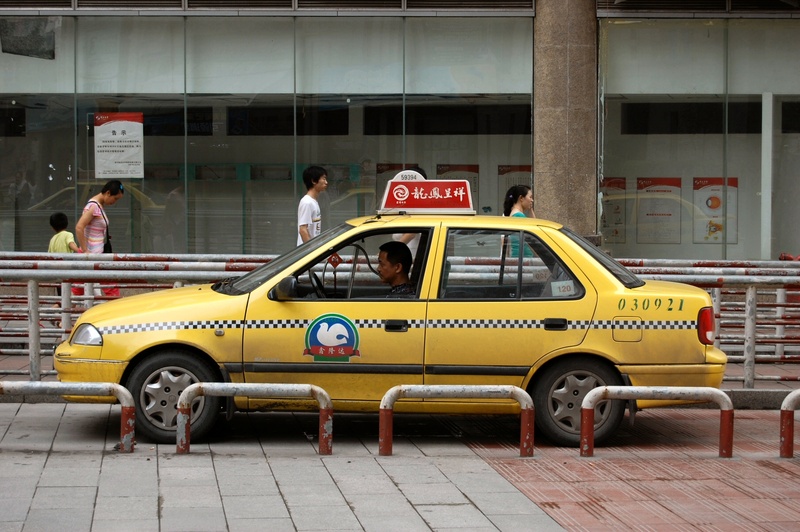 As part of a drive to cut pollution, Beijing taxi drivers have already started using electric as part of their fleet. In 2014, there were around 1,150 electric taxis on the roads. But they could only achieve 90 miles on full charge, and as the battery wore out, drivers expected to achieve just a third of that. This, coupled with an expansion of private use electric vehicles, means charging points are hard to come by. In one neighborhood of Beijing, a taxi driver said there were 200 electric taxis already on the streets — but only half of them could drive at one time, while the other half waited in long lines to get charged, according to a Chinese newspaper sourced by Mashable. There are signs that this is changing, though. The government announced last month that it plans to build 800,000 charging points over the next year, 100,000 of which will be public. There are currently around 150,000 public charging points in the country, so this plan could help China achieve its 2020 electric vehicle goals. Whether Beijing taxi drivers feel this is sufficient, though, remains to be seen.